By the time I’d joined the Washington Service Corps as a AmeriCorps Disaster Preparedness Coordinator, I was already a seasoned disaster responder. 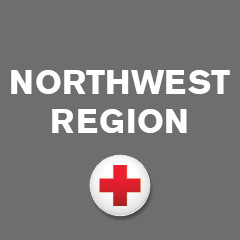 I’d spent two summers as a work-study in Spokane with the Red Cross serving the Greater Inland Northwest. This meant I’d worked through two awful wildfire seasons. Now, as a AmeriCorps member, I was going in a whole new direction: disaster preparedness. This is especially important to me because just as I began my term as AmeriCorps, a destructive windstorm swept through the region and knocked out power to most of Eastern Washington. To truly prepare a community about disaster preparedness, I head to the elementary schools. This is a critical age group to target, as children are a very vulnerable population and can also play a huge role in helping their families become more prepared for emergencies. I love going into these classrooms because elementary aged children are so excited to learn new things. At the same time, it has been an eye-opening experience for me. It is alarming to hear how unprepared some homes are, not having items as simple as flashlights, extra batteries, or even food and water for an emergency. Over the months, together with my AmeriCorps disaster preparedness colleague, we’ve seen a lot of kids and made exciting progress. We’ve presented to more than 4,000 children in the Spokane area alone. Our work with them came at an important time given the November windstorm that caused widespread damage and power outages. More than 200,000 people were without power at the height of the storm, and many homes were destroyed. Immediately after the storm, I noticed a sharp increase in the attentiveness of the students. Suddenly, the schoolkids had a first-hand experience to reflect on, and they were much more interested in being prepared for disasters. Now they know why it’s so important, as well as how, to build a disaster kit and to have important supplies on hand during an emergency. They better understand other ways to prepare themselves and their families for such situations. I’m hopeful that these lessons will stay with them. If even a portion of the students go home and tell their parents they need to make a disaster kit, I know that I have made many families more prepared before the next windstorm comes.